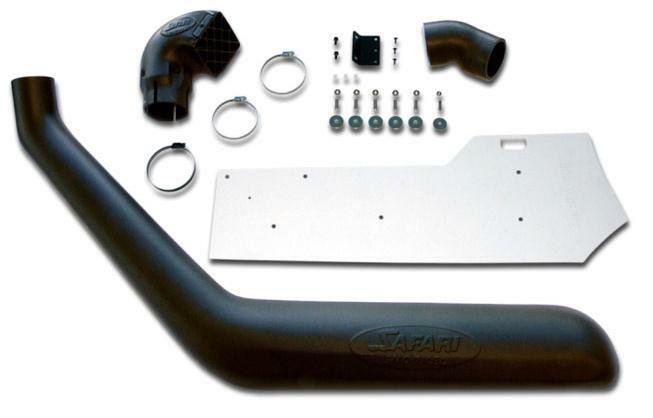 How hard is it to install your own snorkel? Do you need any special tools? These are two commonly asked questions of the team here at DNA Off Road. 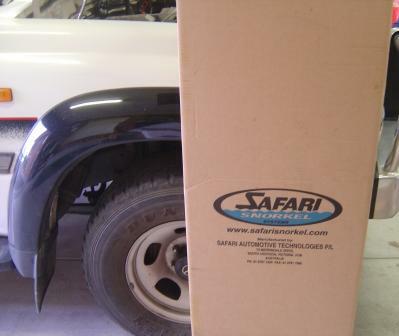 We chose a common vehicle for our install - the 80 Series Landcruiser. Don't worry the vast majority of snorkel installs are very similar if not the same. The directions included in the box tells you what parts you should have. It makes life easier if you cross check everything is there before you get started. Tip - before you rip open the box, be mindful that the all important template is taped to the inside! Tools required - well it all depends on what you have available to you. Ideally a step drill, the right size hole saw and Inox or similar [proper cutting compound such as Trefolex is even better but not everyone has that sitting in their shed]. A sharp drill and a half moon file - slow work but it can [and has been done] many times. Drill many holes nearly touching each other around the inside of the circle, pop out the waste and clean up with the file. A rotary grinding bit or a die grinder will make the job even quicker - remember to wear protective glasses and good clothing to prevent injury - safety first, always! A nibbler - has to be a reasonably good one as some guards are quite tough. Drill a pilot hole first and away you go. 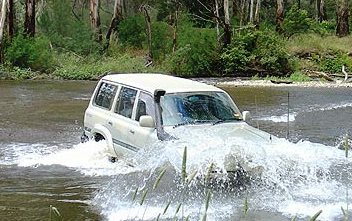 Once you have confirmed all parts are present and accounted for, you should cross check you have the right snorkel for your truck and that the template is the right one for the snorkel. The easiest way to check the template is to hold it up to the snorkel mounting surface and check that all holes align. Now you are ready to get into it. Remove the air cleaner including the standard air ducting and the guard indicator. Tape the template on the guard as directed and mark all hole positions with a marker. Drill a pilot hole and then drill the holes to the sizes as detailed in the instructions. For the 80 it was 14mm for the front hole and the remaining five at 16mm. Now you are ready to drill the main intake hole. 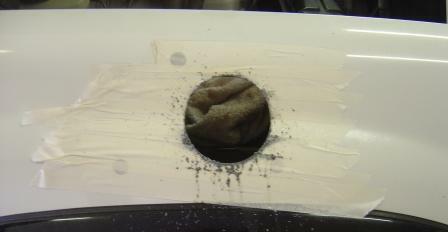 Before you do, it is a very good idea to mask over and around the hole to prevent marks just in case you do slip. This is where a friend comes in handy as they will be able to apply the lubricant or cutting solution to the area while you focus on cutting the hole. Make sure you set the drill up to the recommended speed for the size hole saw and have a steady footing. Drill the hole square to the guard - both the top bottom and sides should be cutting as evenly as possible. Maintain a constant slow speed and a very firm grip on the drill - don't spare the lube/cutting compound. Now it is time to clean up. Deburr all holes and paint all exposed metal surfaces. Now is a good time to break out the workshop vacuum and clean up all the mess inside the guard as well. While you are waiting for the paint to dry - prep the snorkel. Screw the six mounting studs into the snorkel body applying loctite to each. Attach the upper mounting angle bracket to the snorkel body as well. 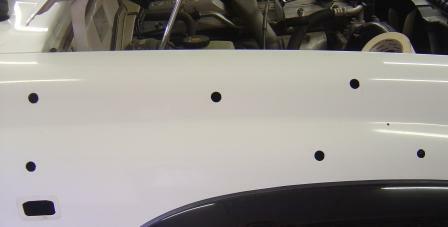 With the snorkel carefully positioned onto the guard, mark the holes onto the A pillar for the angle bracket mounting. Remove the snorkel and drill each to the size in the instructions - usually 8mm. Deburr and paint. When the paint is dry, insert the plastic body clips into the A pillar, remove the right angle bracket from the snorkel and and fasten it to the A pillar. Reposition the snorkel onto the guard and fasten nuts and bolts using washers where indicated. Apply Inox to both ends of the supplied rubber air hose, place the two hose clamps onto this section and fit over the snorkel end. Reinstall the air cleaner ensuring the hose fits onto it squarely. Fasten the air cleaner assembly making sure the robber hose fits neatly. Fasten both hose clamps. The hose clamp closest to the snorkel body can be difficult to get to. 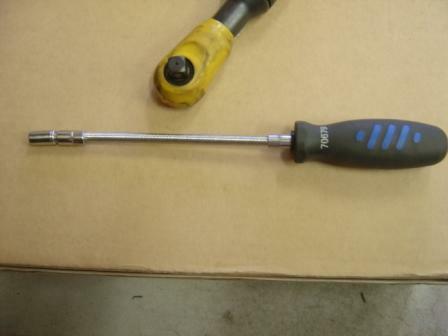 Tip - use a flexible shaft hose clamp driver [pictured below]. If you don't have one, maybe a mate does! Make sure all connections are water tight! Pop the side indicator back into position and install the air ram at the top of the snorkel - congratulations on a great job!